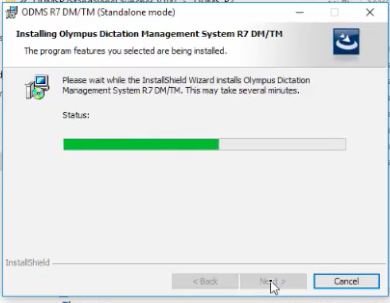 Olympus Dictation Management System or ODMS Release 7 is the latest software to be shipped with the Professional Olympus digital dictaphones (DS-9500) and digital transcription kit (AS-9000). 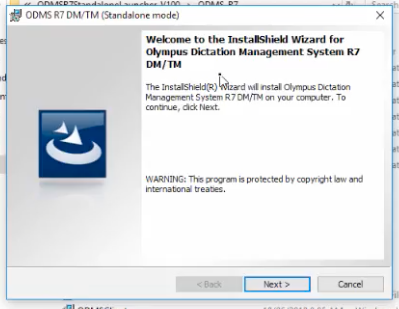 ODMS R7 replaces the well known ODMS R6 and DSS Player Pro R5 series dictation/transcription module software. 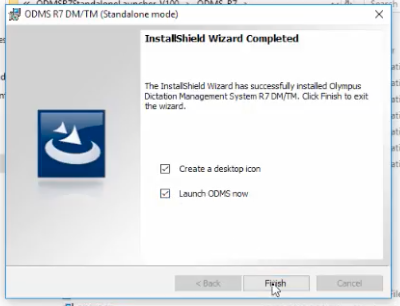 Just like ODMS R6 and DSS Player Pro R5 before it, ODMS R7 has the ability to be installed, standalone, on a Windows PC in trial mode. 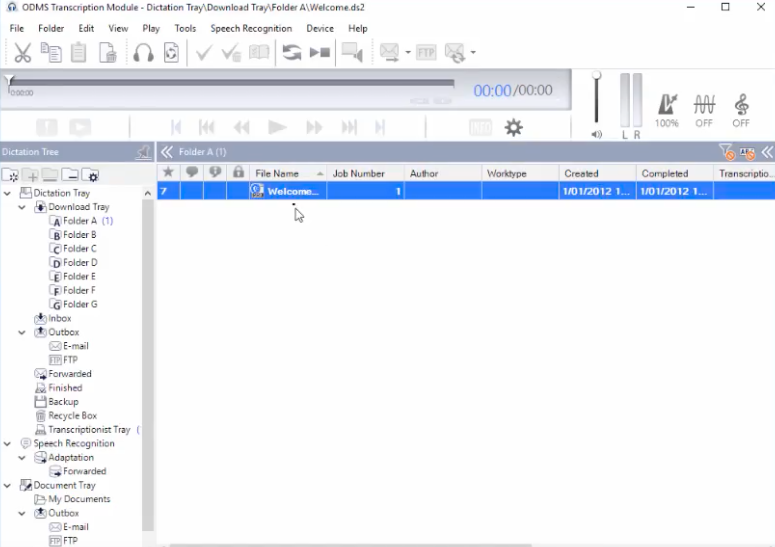 This will give you 60 days of full functionality of either the dictation module, transcription module or both. 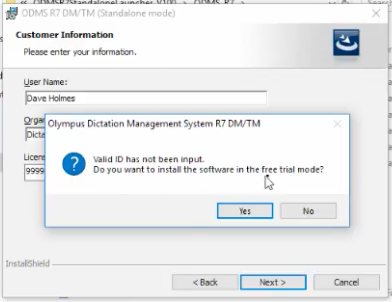 Yes you can convert .ds2 audio files to .dss for free during the 60 day trial. 1. 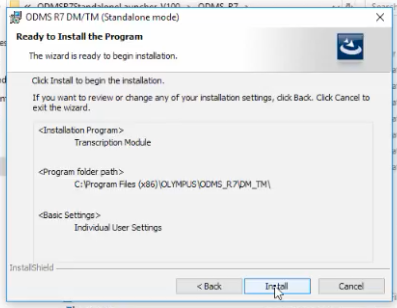 Unzip the file you just downloaded. 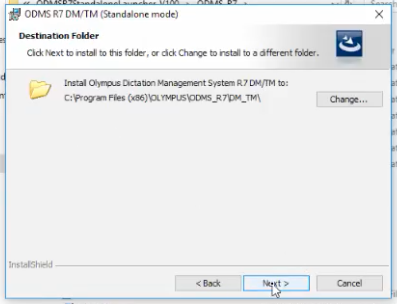 You can unzip the file anywhere on your PC, I suggest the Desktop where it is easy to find (note full install instructions can be found in the InstallManual folder. 2. 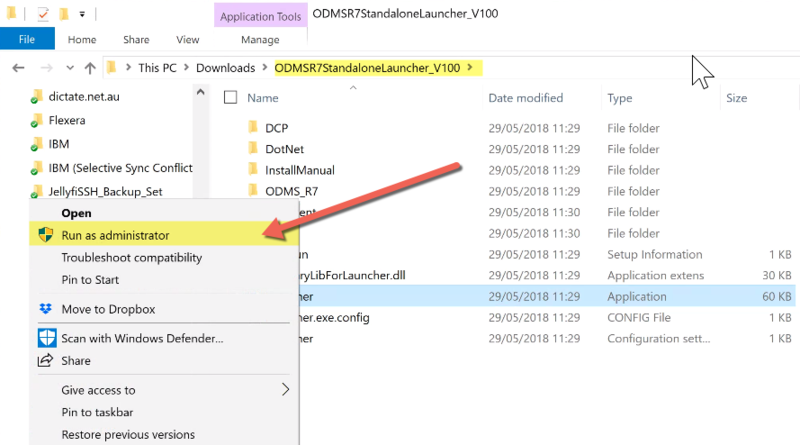 Navigate into the unzipped folder and look for the application (not the configuration settings) file called Launcher which will be in the ODMSR7StandaloneLauncher_V1XX folder (depending on the version number). 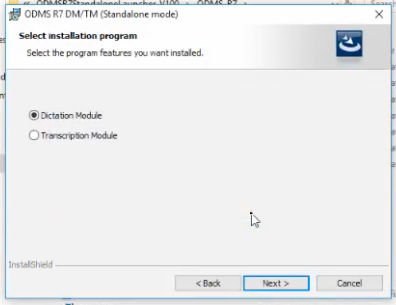 Right-click on launcher and select “Run as Administrator” to start the install. 3. 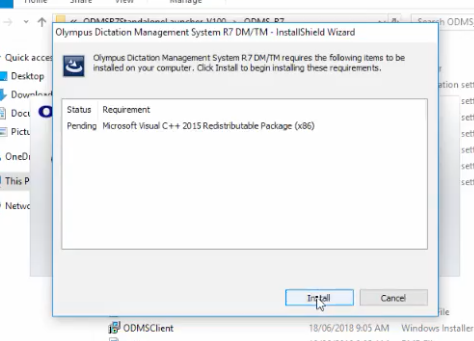 The installation of ODMS requires additional Microsoft components, like Microsoft .Net 4.0 or Visual C++ to be installed. 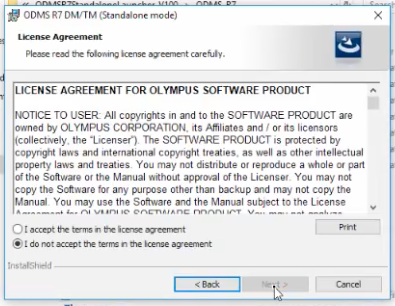 The installer will check if you have the correct version, if not it will be installed for you. 8. 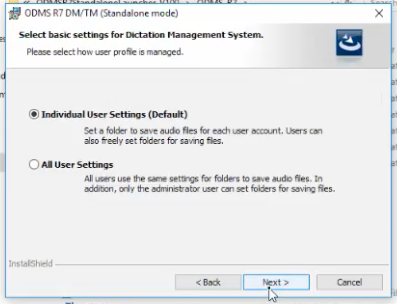 You next selection decides whether you install the Dictation Module (DM) or Transcription Module (TM). 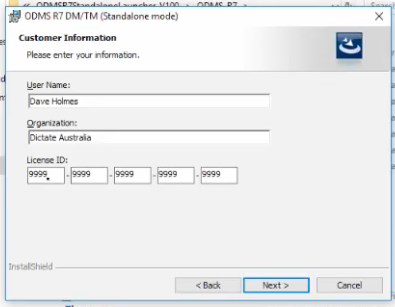 If you like what you see then you can buy and enter a licence key during the trial period.